Move the sliders to experiment with the quadratic functions. 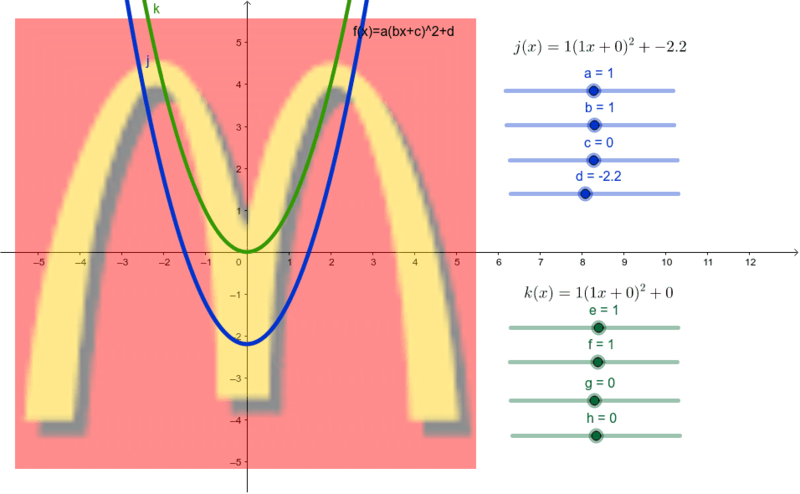 Adjust the functions so that the two parabolas trace the McDonalds Golden Arches. What happens when you set either a, b, e, or f equal to 0? Why does this happen? Using the variables a, b, c, d, explain how each one affects the graph of the quadratic. Geometric Proofs of the Pythagorean Theorem.